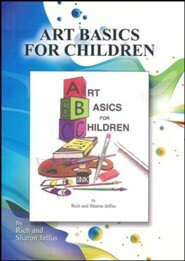 Introduce children to the basics of art with this Visual Manna resource from Rich and Sharon Jeffus. 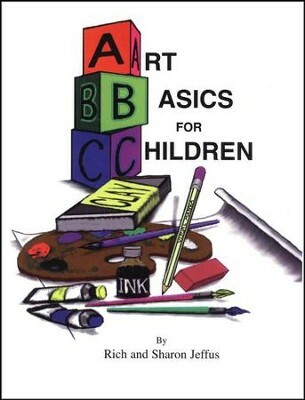 Art Basics for Children presents the "ABCs" of art with alphabet based lessons that teach children how to draw an apple for A, and a Ball for B. Each lesson is paired with an art principle such as shading and the color wheel, circles and patterns, lines, transparent/opaque, monochrome, texture, pointillism, neutral colors and patterns, and more. Art supplies are also introduced and there is a 7-page drawing exercise section focused on basic shapes. Suggested art supplies (not-included): pencils, drawing paper, charcoal, oil pastels, tempera paints, water colors, and chalk pastels. 50 pages, softcover. Grades 1-8. 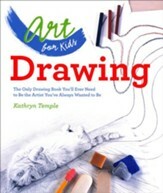 I'm the author/artist and I want to review Art Basics for Children.